The Jewish community is expert at anticipating failure, even disaster. Declining affiliation rates, rampant intermarriage, collapsing schools and synagogues — these are the problems that top the communal agenda. Judaism, it is said, is a product that no one wants to buy anymore. The question is then posed: How can we convince people that Judaism is still relevant? But amid all the hand-wringing about failure, we forgot to plan for success. For in truth, our problem now is not one of a shortage of demand, but of supply. Desire to engage with Jewish life is at an all-time high. But we have not begun to produce the leaders, programs or institutions that can satisfy this demand. Taking a look at two hallmark achievements of the last decade — Birthright Israel and the independent minyanim — serves to illustrate this point. Birthright Israel was a smashing success in the creation of demand. More than 200,000 young Jews have gone on Birthright’s 10-day trips to Israel. Many are now hungry for a heightened engagement with Jewish life. Research on Birthright alumni shows that most participants say they want to become more involved with Jewish heritage and community. But the research also shows that upon returning home, Birthright alumni all too often cannot find clear avenues for satisfying their desire to step up their engagement. They want to learn Hebrew, but there are not enough high-quality Hebrew classes. They are interested in basic Jewish knowledge, but are often unable to find educational opportunities that are engaging and substantive. The Jewish community created demand, but it did not plan for success. The independent minyan phenomenon of the last decade also illustrates our need to focus on supply. More than 20,000 young people across the country have connected to these grassroots, independent Jewish communities, what historian Jonathan Sarna has called “the most exciting development in American Judaism in the last 30 years.” The minyanim did not create demand, they responded to it. They stepped into a vacuum created by the emergence of a whole new demographic of post-college, pre-“married with children” young Jews that didn’t exist in nearly the same numbers a generation ago. The minyanim, however, are really only the first step in a world of possibility for this age demographic. First, the independent minyanim reach only a small segment of this age group. There are vast populations of young Jews who are not yet prepared to be Jewish self-starters and who, perhaps for lack of Hebrew literacy, have not found their place in an independent minyan. They seek an engaging introduction to the substance of Jewish texts and tradition. But even those involved with independent minyanim are often only at the beginning of their journey toward a deeper engagement with Jewish substance. In truth, all Jews, regardless of background, need ongoing guidance to help them acquire the tools that can enable a more meaningful and substantive engagement with Jewish life. Yet the supply of leaders that serve this demographic is thin. Traditionally trained rabbis don’t necessarily fit the bill, and peer leaders with the necessary knowledge, background and training are in short supply. Invest in empowerment education. Jews of all ages, but especially those in the time-abundant years following college, must become self-directed translators of the Jewish tradition — for themselves and their peers. This means less focus on “experiences” and more focus on the building blocks of educational discovery. This is not about religious indoctrination. This is about unlocking the power of Jewish heritage — through Hebrew, Jewish text study and communities of shared practice and engagement. Create the pathways to support empowerment. So many Jews have been turned on to Jewish tradition but have no path to become empowered. Yet the physical infrastructure is in place: We have synagogues in cities and towns across the country that stand virtually empty during the week. Imagine a world in which those synagogues were hothouses of learning for people who had time to invest in their Jewish heritage. Imagine if every college student had the opportunity to spend an alternative break engaged in Jewish study. Imagine if all interested post-college students could spend six months or a year immersing themselves in Jewish texts and traditions. Train better rabbis, but don’t rely on them to do everything. We need rabbis who are prepared to lead the supply-side response to the demand for high-level Jewish engagement. We need rabbis who are immersed in the wisdom of Jewish texts, who can teach it well and who can teach at a high level (even — and especially — for beginners). But even as we train the rabbis who can teach people beyond Judaism 101, the ultimate theory of change must extend beyond the professionals. There will never be enough professional Jewish educators to reach the numbers of Jews who demand serious engagement with a tradition that can speak to them. The answer has to lie in peer engagement — through hosted meals, through study classes and pairings, through grassroots communities and learning circles. Rabbis can train some, but those some must fan out and connect to others through a peer-reinforced community. In this world of social networks and mobility, our only chance for real engagement involves an empowered, educated corps of peers who have not devoted their lives to becoming Jewish professionals, but who can live out a rich Jewish culture and heritage and connect others to that experience. We face a supply problem, not a demand problem. Demand for the core aspects of Judaism is strong. Responding to this demand is the real challenge of our time. Rabbi Elie Kaunfer is the co-founder and executive director of Mechon Hadar. 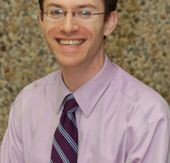 He is the author of “Empowered Judaism: What Independent Minyanim Can Teach Us about Building Vibrant Jewish Communities” (Jewish Lights). This story "Supply-Side Judaism" was written by Elie Kaunfer.